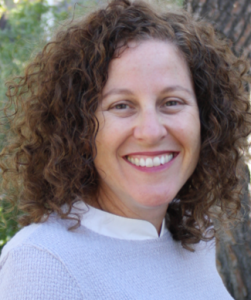 Debby Berman has a BA in American literature from UCLA and an MAT from Occidental College. She has been teaching students the subjects of literature, humanities, and writing for the past 25 years at various schools, including Malibu High School and Hawthorne Middle School. Most recently she served as a teaching specialist working one-on-one with students enrolled in online courses at Shalhevet High School. The more she teaches in traditional schools, the more she sees a need for and employs non-traditional practices and alternative forms of education to motivate, engage, and impassion learners. Debby is focused on teaching students to express themselves boldly in writing, to find pieces of their own selves hidden in literary characters, and to explore history as if they lived through it themselves. When she’s not teaching or writing, Debby can be found running at the beach or through the busy streets of Los Angeles training for her first half marathon, cooking in her kitchen, reading her favorite new novel, hiking in the hills all around Los Angeles, and enjoying time with her husband and 3 children.